A great waterproof top. Paid top notch but worth paying the extra for GORTEX. Would recommend to any golfer. The service from the supplier, golfonline was also excellent. Thank you for the prompt delivery. The adidas Gore-Tex Two Layer half zip jacket will offer total protection against the rain, wind and cold as well as provide you extreme comfort from the pullover style design. 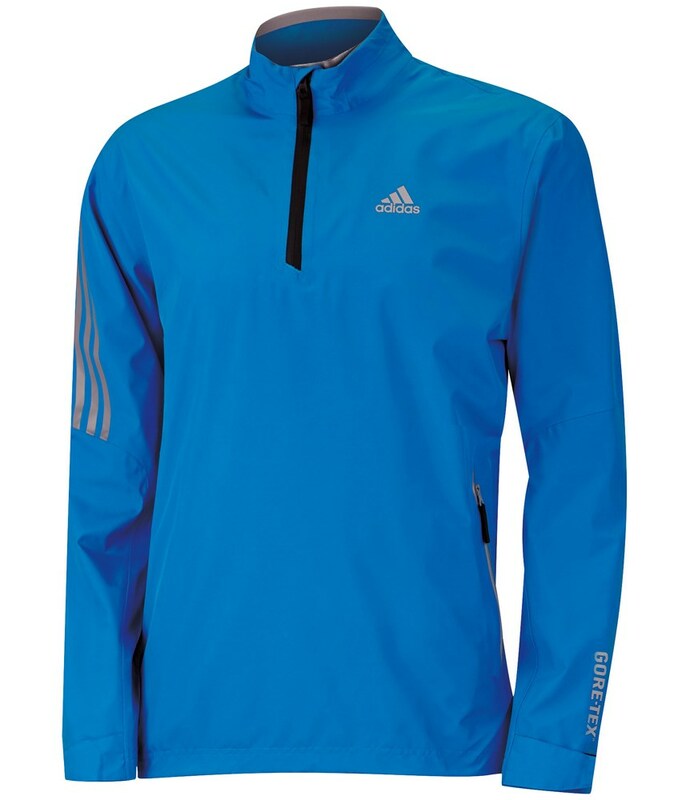 Even on the wettest of days on the golf course the adidas Gore-Tex Two Layer half zip jacket you will stay completely dry because of the use of Gore-Tex in the jacket. The great thing with Gore-Tex products is that they are not just totally waterproof but brilliantly breathable so you can wear the jacket in all kinds of weather without sweating. 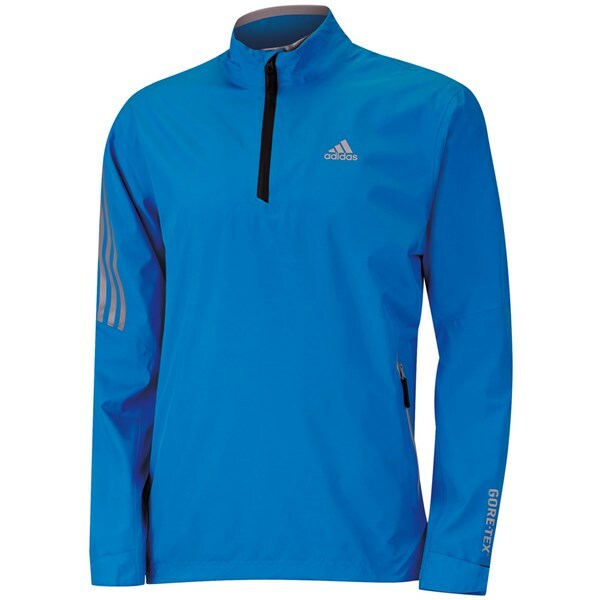 adidas have designed this particular jacket with a half zip golfers generally find it a more comfortable and less restrictive waterproof jacket to wear than a traditional full zip design. An elasticated waistband and Velcro cuffs design have been used to enhance the fit and comfort of the jacket so that you almost feel like you are not wearing a jacket when the weather is at its worst and you can just go about playing and performing at your best.